I've been fascinated by this weird Final Fantasy spin-off title, originally released in North America in 1992 and then released elsewhere the following year, since I first heard of it in the run-up to its launch. That said, I've never actually owned a copy of the game, which goes by all sorts of other names--like Final Fantasy USA in Japan and Mystic Quest Legend throughout Europe--outside of the U.S., and which was directed by Kouzi Ide (who also had a hand in Rudra no Hiho for the Super Famicom and Final Fantasy Legend III for the GameBoy). I did put a good amount of time into it over the course of a month or so back when I was a teen, though, courtesy of the local grocery store that rented out movies (VHS tapes, not DVDs) as well as all sorts of video games (systems, too). I wasn't able to finish the game during that particular foray, although I definitely made it pretty far into its adventure (which exists in some sort of strange middle ground between mainline Final Fantasy titles and the oddball SaGa series), and I've always wanted to go back to it and see how to story wraps up. 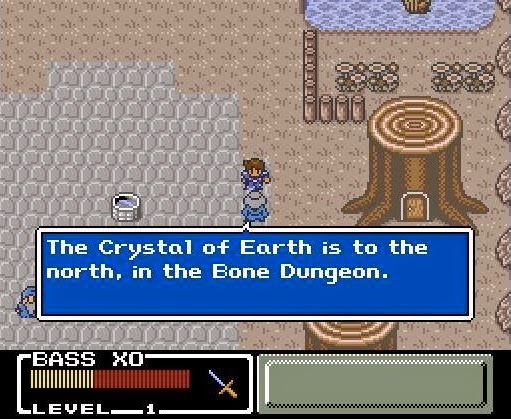 I've also always wanted to see another such game from Square Enix--with a straight-up sequel being preferred, of course, but an "inspired by Mystic Quest" effort also being acceptable. What do all of you think about this idea? 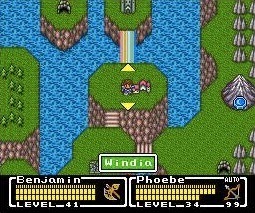 Would you like the same, or is a modern follow-up to Mystic Quest about the last thing you'd like to see from Square Enix at the moment? While we wait, I'll strongly consider searching for a and picking up a copy of the original. In fact, maybe I'll buy the Japanese version, as I've always liked its rather triumphant box art. I actually really liked Mystic Quest! 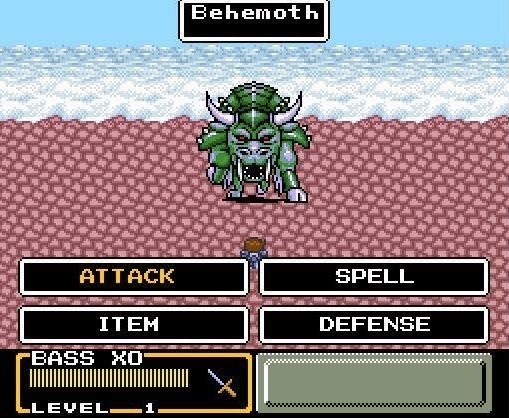 Its genesis is a bit of an insult (Japan thought FFV was too complicated for America, so they made MQ for us instead, if I remember correctly), and it's pretty simple, but I enjoyed it the whole way through. The soundtrack is really good, too. I've never played it and I often see it for cheap at game stores so I might pick up a copy for myself. I've heard it's like a beginner's guide to RPGs since it's so simple so maybe it'd be a good introduction for me? If copies are cheap, Allison, I'd def. consider picking one up if you like SNES games and you like RPGs (or at least are curious about them). As for it being like a beginner's RPG, I wouldn't disagree with that. It's also got kind of a board game feel to it thanks to how it treats overworld movement. I loved my time with the game. I bought a used SNES cart of it at a local media resale shop that is now defunct (the shop, not the cart). I don't recall why I never finished it, but I'm guessing it had something to do with a tough boss fight or something, knowing me. I inherited a SNES with Mystic Quest and a number of other games (Link to the Past, Donkey Kong Country, and a few others..) when I was in middle school and foolishly resold it to buy an N64. Looking back on how I actually don't really care for the N64 and have several favorite games of all time on the SNES, I can say that Middle School Zach was a proper fool. I would have totally loved Mystic Quest, I think, and it's a shame that my parents didn't smack me upside the head!! Oh, you're not at all alone in feeling the way you do, Zach. When my brother and I were kids, we sold our NES and NES games to buy a SNES, and then sold most of our SNES games to buy a N64. Also, I sold my entire TG-16 stash (including TG-16 system, CD attachment, Turbo DUO and a TON of games) to buy a Saturn, which I later sold to buy a Dreamcast. DOH!! !